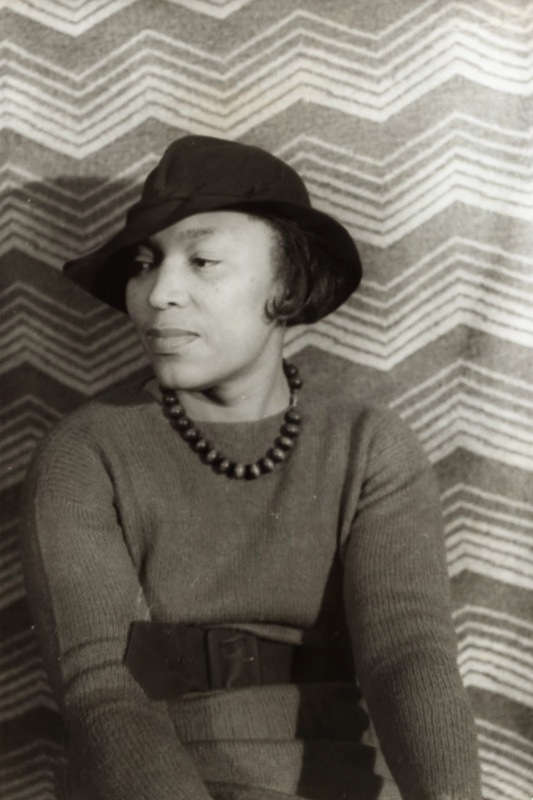 Delia Jones works hard cleaning things for the white folk in town and making enough money to support herself, own a house, and support her husband, Sykes, who drinks and openly sleeps around with women. One Sunday night while getting a start on the work for the week, when something falls onto her and slithers onto the ground. She initially thinks it is a snake but it is just Syke's bullwhip and she finds him laughing at her because she is scared of snakes. She scolds him for scaring her and he scolds her for keeping white people's clothes in the house. he threatens to throw them out but she tries to change the subject saying she's tired and he calls her a hypocrite for working on the Sabbath. He continues to threaten and dirty up the clothes and though Delia is typically passive, she asserts herself. She tells Sykes he's gone to far after these fifteen years of her sweat and calls out his laziness. The frankness and assertiveness puts Sykes back a bit and he leaves. In bed she recalls the trail of their life from love to loathing. A history filled with abuse, theft, and disregard. Later in the week, Delia is walking along and some of the village men say hi to her and chat about her and Sykes. They believe she was pretty but the beatings from Sykes has damaged some of the beauty. They remark about Syke's current sexual partner, Bertha whom they find unappealing. They believe that Sykes is out of control but they ought to be taught a hard lesson. The men shift their discussion to going in together on purchasing a watermelon. Just as they are about to eat it, Sykes and Bertha show up. Delia passes by just at this moment and Sykes takes pride in ordering food for Bertha while Delia wlks by. The fighting and tension continues to rise over the next month into August. One day, she returns home and finds Sykes with a box. He orders her to look in the box and she finds a rattlesnake. Sykes insists on keeping the snake in the house despite Delia's protests. Delai tries to take a stand some time later but it is to no avail. She declares that she hates Sykes and the statement surprises Sykes in that she voices it so clearly and sternly. The anger rises up but Sykes leaves before it goes too far. When she comes back a few nights later, she finds that the cage is empty and she wonders just where the snake went off to. She proceeds to do work through the house, initially believing that Sykes had actually gotten rid of the snake. While she was organizing the clothing to wash, she finds the snake when she empties out a basket. Frightened, she fleas the house and goes to hide in the barn. She lays there and comes to terms with what Sykes has done. She falls asleep but awakens when Sykes returns. He enters the house, expecting Delia to be dead and the snake satiated but he finds the snake and no Delia. He stumbles around in the house in the dark and eventually is bit by the snake. Delia stays in the barn as Sykes screams and calls out his name. Towards sunrise, she makes her way to the house. She sees enough to know that Sykes will soon be dead. I rather like Hurston's work in general and I found Sweat to be a very intriguing tale about resistance that reminds me in some ways of civil disobedience. Delia does not take a hand against Sykes as he does to her, but resists his being in a way that is both profound and powerful.